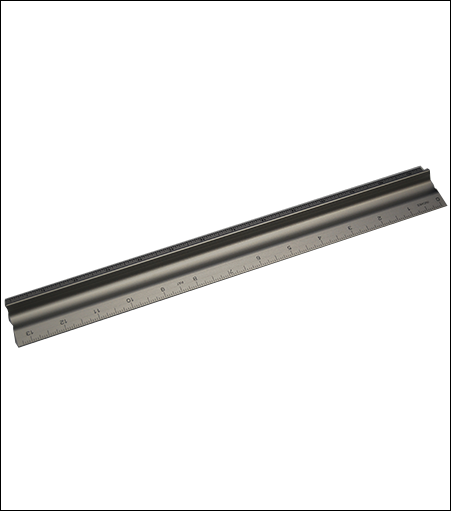 The Lite-Edge safety ruler is made of heavy-duty, lightweight aluminum and is designed with safety in mind. Minimize cuts and accidents with the Lite-Edge safety ruler. The curved finger guard allows for comfortable control of the ruler as well as providing a safe guard to protect your hands and fingers. The stainless steel cutting edge ensures a long life while providing a strong steady edge for straight cuts. Further stability is provided by the Super-Grip, slip-resistant backing. The graduated edges allow for precision cuts.